Overseas & Domestic Network | ALTECO INC.
Alteco launched its first overseas office in the USA in 1980 and our global network has been expanding. Japanese manufacturing is widely known for its superior quality and safety. 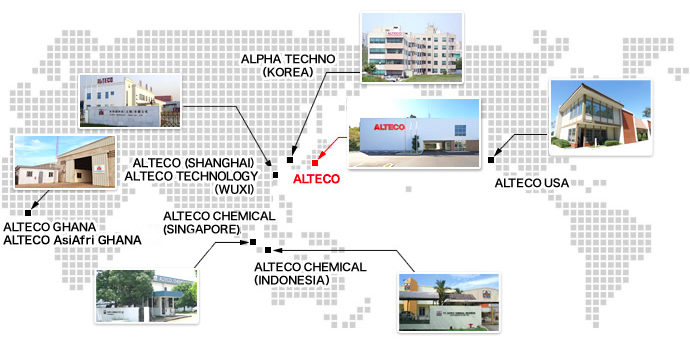 As one of them and a specialist of adhesives, we will continue to provide Alteco products to our valuable customers all over the world. Copyright © 2019 ALTECO co., ltd. All Rights Reserved.